FORT MILL, S.C., July 11, 2017. 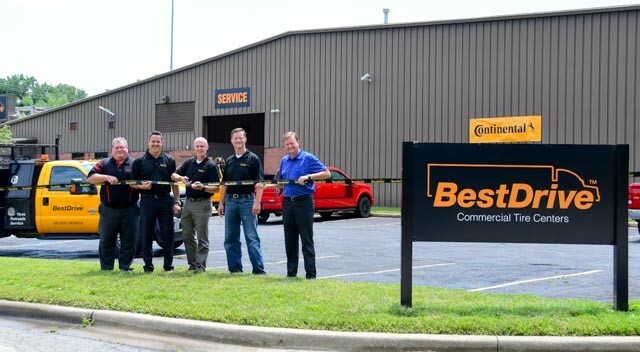 BestDrive, LLC, a commercial tire dealer and retreader focusing on Continental tire offerings, officially opened its newest location in Kansas City, Kan., on June 29, 2017. Established in 2010, BestDrive now has 21 commercial tire centers across the United States, with plans to expand into eight additional states by the end of 2018. BestDrive’s Kansas City tire center is a 32,000-square-foot retail and service space. Less than two miles from the I-35 and I-635 interchange, the location is ideal for access by its long-haul, regional haul, and on/off-road fleet customers. Three commercial fleets have already joined the BestDrive customer roster in Kansas City. Linaweaver Construction and Hauling is a second-generation family-owned business headquartered in Lansing, Kan., and was awarded the 2009 Public Works Project of the Year by the Kansas City Metro Chapter for the Landing Park Restoration and Three-Mile Creek Siphon. C.A.R. Transport is a specialty auto hauler with locations in Kansas and Texas. 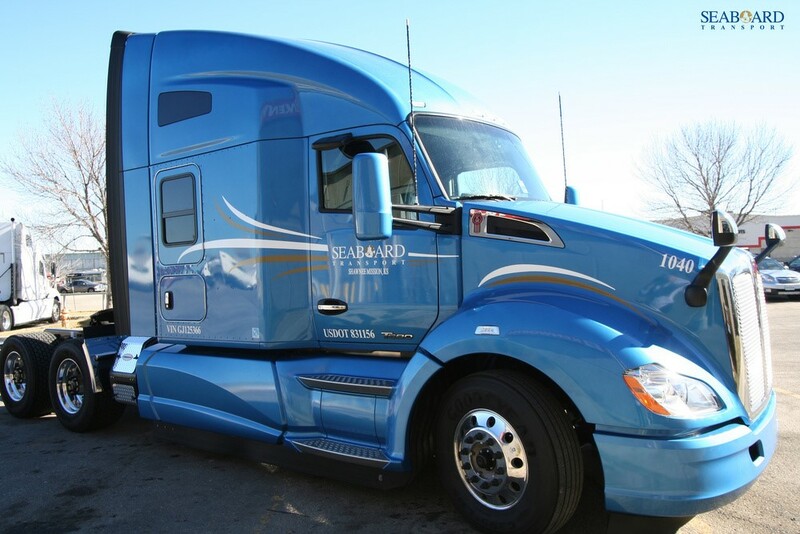 Seaboard Transport, headquartered in Shawnee Mission, Kan., is primarily engaged in domestic pork production and processing, while its parent company, Seaboard Corporation, is a diversified international agribusiness and transportation company employing more than 20,000 people worldwide. BestDrive Commercial Tire Centers offer total fleet tire management with Continental and General Tire brand products, as well as other supplemental tire brands. It equips fleets with new tires and ContiTread retread solutions as part of the ContiLifeCycle program, designed to lower costs and prolong the life of a Continental tire. BestDrive also provides innovative fleet technology such as ContiPressureCheck™ Tire Pressure Monitoring System (TPMS) and Continental’s VDO Roadlog for ELD Mandate compliance. BestDrive executives attended the ribbon cutting ceremony on June 29 to inaugurate the new location. Pictured left to right: Paul Martin, Jeff Wolcott, Sonny Simpson, Steve Postel and Richard Brahler of BestDrive, LLC. The Tire Division currently has more than 24 production and development locations worldwide. The broad product range and continuous investments in R&D make a major contribution to cost-effective and ecologically efficient mobility. As one of the world’s leading tire manufacturers with around 52,000 employees, the Tire Division achieved sales of €10.7 billion in 2016.